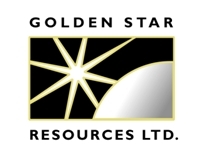 TORONTO, ON--(Marketwired - Nov 7, 2013) - Golden Star Resources Ltd. (NYSE MKT: GSS) (TSX: GSC) (GHANA: GSR) ("Golden Star" or the "Company") is pleased to announce an updated Mineral Resource for the Wassa Main pit as at September 30, 2013. "We are excited about the new resource estimate at Wassa Main. Compared to year end 2012, Indicated Mineral Resource grade has increased 28% and tonnes have increased 13%, resulting in a 45% increase in gold ounces. The updated Mineral Resource has been estimated using a more conservative gold price assumption and includes the year-to-date mining depletion. This Mineral Resource increase has significantly enhanced the prospectivity of the deposit at Wassa Main and we are in the process of determining how best to mine this resource to optimize cash flow. In addition to looking at this resource from the perspective of a large open pit, our technical teams are evaluating a combined open pit and underground mining alternative. The Company will commence a new infill drilling program to better define the continuity and geometry of the deeper high-grade zone." Wassa is located in the southwestern region of Ghana. It has a single non-refractory processing plant consisting of a carbon-in-leach system with a capacity of 2.7 million tonnes per annum. There are currently two operational pits at Wassa -- the Wassa Main pit and the Father Brown pit. Indicated Mineral Resources for Wassa Main (inclusive of Mineral Reserves) increased to 46.4 million tonnes at an average grade of 1.75 grams per tonne gold (g/t Au) for 2.6 million ounces. This does not include the Indicated Mineral Resource at the Father Brown pit which has not been updated since 31 December 2012 and was at that date 2.5 million tonnes at an average grade of 3.43 g/t Au for 0.28 million ounces. The drilling program at Wassa Main was completed in June of this year and the Company has updated the Mineral Resource estimate with these results. The updated Wassa Main Mineral Resource has been constrained between the September 2013 month end mining surface and a $1,400/oz gold price optimized pit shell. It included data from 269 new holes totaling over 93,000 meters. Mineral Resources were also estimated at economic cut-off grades based on a gold price of $1,400 per ounce and on other economic parameters deemed realistic (as set forth in the notes below the following table). Mineral Reserves for Wassa Main will be updated at year end. The Mineral Resource has been estimated by a third party consultant and reviewed by the Company's technical personnel in accordance with definitions and guidelines set out in the Definition Standards for Mineral Resources and Mineral Reserves published by the Canadian Institute of Mining, Metallurgy, and Petroleum and as required by Canada's National Instrument 43-101. 2. The Mineral Resources were estimated in accordance with the definitions and requirements of Canada's National Instrument 43-101. The Mineral Resources are equivalent to Mineralized Material as defined by the Industry Guide 7 of the United States Securities and Exchange Commission ("SEC"). 3. The Mineral Resources were estimated using optimized pit shells at a gold price of $1,400 per ounce inclusive of the Mineral Reserves as at December 31, 2012. In 2012 we used a gold price assumption of $1,450 to estimate Mineral Reserves and an assumption of $1,750 to estimate Mineral Resources. The updated open pit Mineral Resources were constrained using the deepest mined surface for the end of Q3 2013. 4. The 2013 Mineral Resources are reported above an economic cutoff grade of 0.62 g/t Au for weathered oxide material and 0.68 g/t Au for fresh rock. The 2012 cut off grades used were 0.55 g/t Au for weathered oxide material and 0.60 g/t Au for fresh rock. 5. The Qualified Person reviewing and validating the estimation of the mineral resources is S. Mitchel Wasel, Golden Star Resources Vice President of Exploration. 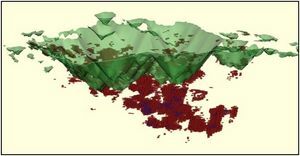 Figure 1 presents an isometric view looking north-east of the resource model showing block grades greater than 2.5g/t Au. In addition to reporting the Wassa Mineral Resource within a large open pit, the Company is also evaluating an alternative of mining a higher grade portion of the Mineral Resource at depth using underground methods. Pursuing this alternative may allow the Company to access this material at depth earlier in the life of mine of this deposit. 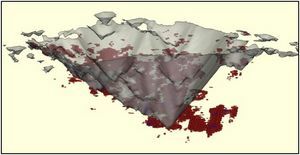 A concept level study was undertaken that split the Mineral Resource model into an upper and lower portion. Pit optimizations were run on the upper portion using the same parameters as the Mineral Resource stipulated in Table A. The lower portion of the Mineral Resource model was then reported outside of the smaller optimized pit at a calculated underground cutoff grade of 2.5 g/t Au and reclassified based upon the more selective criteria needed in underground mining. The underground alternative is conceptual in nature and requires additional drilling and studies to determine the economic viability of underground mining of the deeper, higher grade portion of the Wassa Main Mineral Resource. However, there is no assurance that the Company will determine it economically feasible or otherwise appropriate to pursue this alternative of underground mining at Wassa Main, and there is no guarantee that the underground alternative is viable. The Company has plans to conduct further internal studies on this mining alternative. This press release uses the term "Indicated Mineral Resources". The Company advises US investors that while this term is recognized and required by Canadian regulations, the US Securities and Exchange Commission does not recognize them. US investors are cautioned not to assume that any part or all of the mineral deposits in these categories will ever be converted into Mineral Reserves. This press release uses the term "Inferred Mineral Resources." We advise US investors that while this term is recognized and required by NI 43-101, the US Securities and Exchange Commission does not recognize it. "Inferred Mineral Resources" have a great amount of uncertainty as to their existence, and great uncertainty as to their economic and legal feasibility. It cannot be assumed that all or any part of Inferred Mineral Resources will ever be upgraded to a higher category. In accordance with Canadian rules, estimates of Inferred Mineral Resources cannot form the basis of feasibility or other economic studies. US investors are cautioned not to assume that any part or all of the Inferred Mineral Resource exists, or is economically or legally mineable. Some statements contained in this news release are forward-looking statements within the meaning of the Private Securities Litigation Reform Act of 1995 and applicable Canadian securities laws. Such statements include our Mineral Resource estimates and underlying assumptions and our plans to assess the underground mining alternative at Wassa Main and to drill at Wassa Main. Investors are cautioned that forward-looking statements are inherently uncertain and involve risks and uncertainties that could cause actual results to differ materially. Factors that could cause actual results to differ materially include timing of and unexpected events at the Wassa processing plant; variations in ore grade, tonnes mined, crushed or milled; delay or failure to receive board or government approvals and permits; the availability and cost of electrical power; timing and availability of external financing on acceptable terms; technical, permitting, mining or processing issues; changes in U.S. and Canadian securities markets; and fluctuations in gold price and input costs and general economic conditions. There can be no assurance that future developments affecting the Company will be those anticipated by management. Please refer to the discussion of these and other factors in our Annual Report or Form 10-K for 2012. The forecasts contained in this press release constitute management's current estimates, as of the date of this press release, with respect to the matters covered thereby. We expect that these estimates and the results of conceptual studies will change as new information is received and that actual results will vary from these estimates and conceptual studies, possibly by material amounts. While we may elect to update these estimates or conceptual studies at any time, we do not undertake to update any estimate or conceptual studies at any particular time or in response to any particular event. Investors and others should not assume that any forecasts in this press release represent management's estimate as of any date other than the date of this press release. The technical contents of this press release have been reviewed and approved by S. Mitchel Wasel, BSc Geology, a Qualified Person pursuant to National Instrument 43-101. Mr. Wasel is Vice President Exploration for Golden Star and an active member and Registered Chartered Professional of the Australasian Institute of Mining and Metallurgy. For additional information regarding our Mineral Reserves and Mineral Resources as at December 31, 2012, please see our Technical Report titled "NI 43-101 Technical Report on Mineral Resources and Mineral Reserves Golden Star Resources Ltd, Wassa Gold Mine, Ghana Effective Date December 31, 2012", prepared by SRK Consulting (UK) Limited, which is available under the Company's profile at www.sedar.com. Golden Star is an established gold mining company that holds a 90% interest in both the Bogoso and Wassa open-pit gold mines in Ghana. Golden Star also has a 90% interest in the Prestea Underground mine in Ghana, which is currently undergoing permitting subsequent to a successful feasibility study being completed in June 2013. In 2012, Golden Star produced 336,000 ounces of gold and the Company expects to produce 325,000 to 330,000 ounces of gold in 2013. For further information on the Company, please visit www.gsr.com. Figure 1 Wassa Main pit resource block model showing grades greater than 2.5 g/t Au and the optimized $1,400/oz pit shell. Figure 2 Wassa Main pit resource block model showing grades greater than 2.5 g/t Au and the optimized $1,400/oz pit shell excluding potential underground resources.